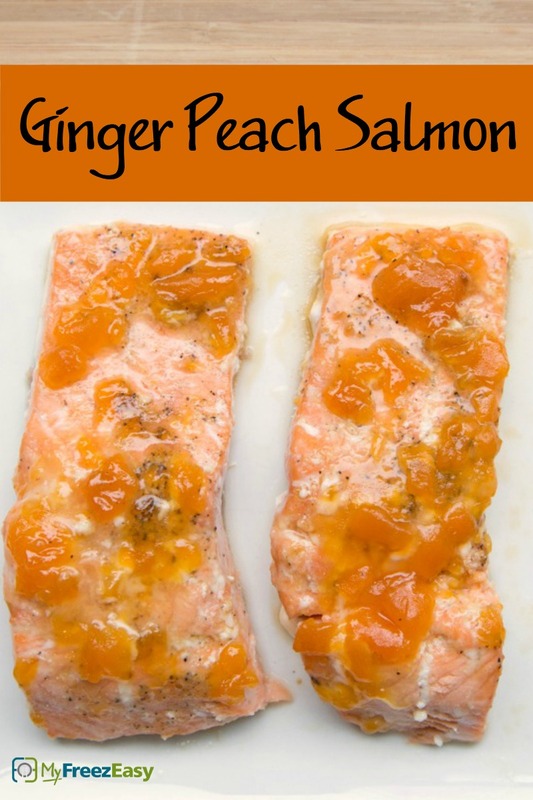 These peach, sesame oil and ground ginger flavors are just magical! Cut salmon fillet into 4 pieces. Place in small baking dish. Drizzle the sesame oil over the salmon. Sprinkle ground ginger, salt and pepper onto each piece of salmon. 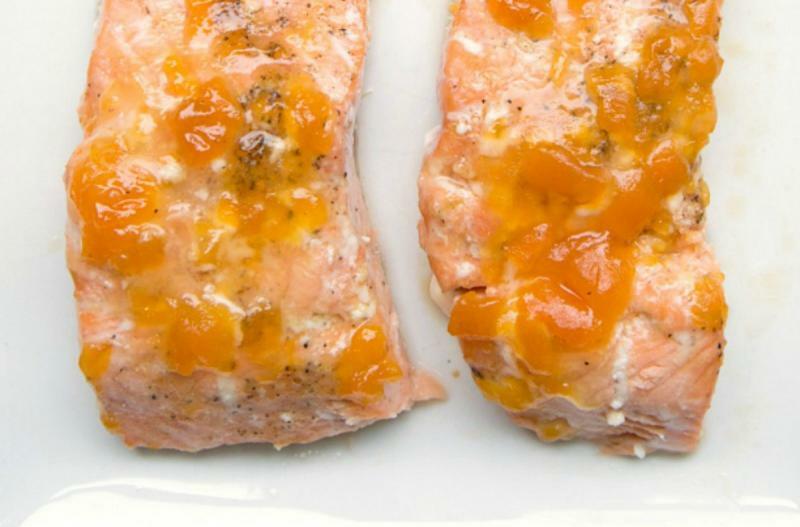 Add a large spoonful of peach preserves onto each piece of salmon and carefully spread it over the salmon. Bake in the preheated oven for 15 minutes, or until salmon is no longer pink in the middle. Serve Ginger Peach Salmon with side of rice and veggies. Cut the 2 salmon fillets into 8 pieces. Pull out the bag the night before and thaw completely in the fridge. Bake as directed. This salmon could be frozen in a small freezer safe disposable tray. Thaw completely before baking at 350 F for 15 minutes, or until no longer pink in the middle.